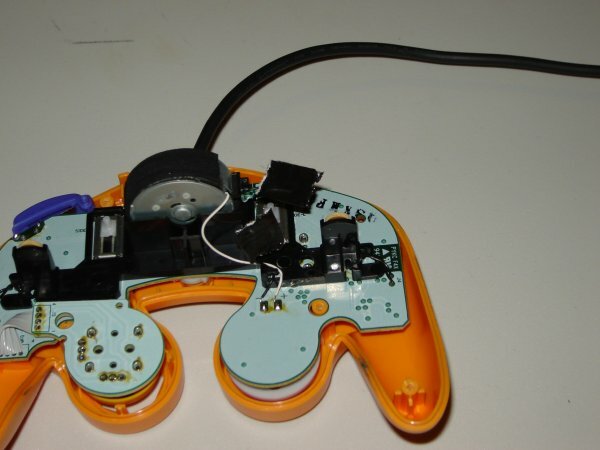 If you are anything like me you hate the rumble feature available in most modern videogame controllers. I absolutely loathe it. It distracts from my game play experience and makes the games difficult to play by distracting me. Sure, most games have an option for disabling it, but some do not. Many other circumstances can result in a vibratory surprise for instance: most games come with it enabled by default, some games do not remember your rumble-off settings when they reboot, and roommates/guests love to re-enable the damn thing. What can you do to guarantee this doesn't happen to you? The electronic component which causes the vibration is just a little unbalanced electro-motor similar to the one to the right. When it gets current the pin in the center rotates causing the heavy semicircle of weights attached to the pin to rotate also. The inertia of the weights pulls the controller first to one side and then to another as it rapidly rotates. This causes the "rumble" sensation that you feel in your hands. The most sure-fire way to make sure this does not happen is to cut power to the little electro-motor to make sure the damn thing never spins again. 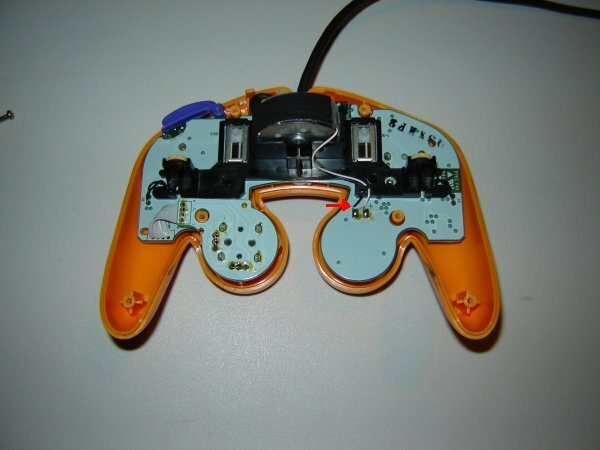 Some people might consider this breaking the controller. I consider it removing a malfeature. 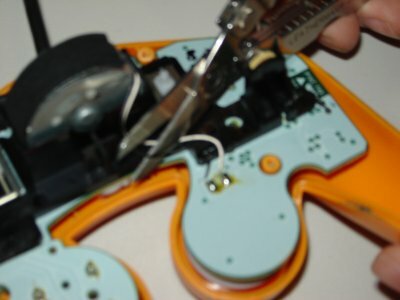 The most difficult part of the whole operation is getting inside of your controller. 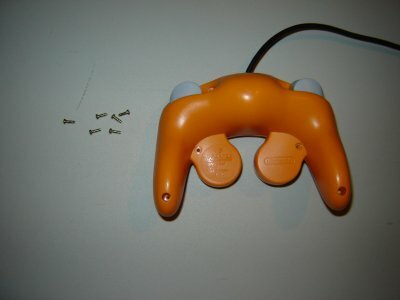 If you look on the back of a GameCube controller you will see that Nintendo uses Tri-Wing security screws to keep you out. You will need a special screwdriver to remove them. You can usually pick one up from eaby for a few bucks. I got mine for 7 USD shipped. You can search ebay here. 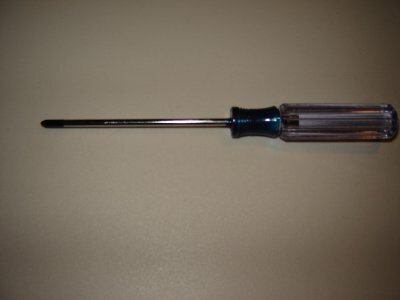 Once you have your screwdriver you are well on your way. Simply remove the screws. And pull the back off. 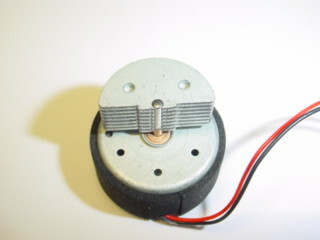 The little red arrow shows where the negative (black) lead for the motor begins. That cylinder in the center is the motor itself. Now strike at the motor's lifeblood with the fury of your ancestors. WARNING: Once you cut this lead your controller will never vibrate again. Are you sure this is what you want? If so continue. Stick some tape on the leads just for safety. Put the case back on and screw it in place. You are done and free of the rumble forever!